Two more non-title champion vs. champion matches have been announced for this year's Survivor Series pay-per-view. 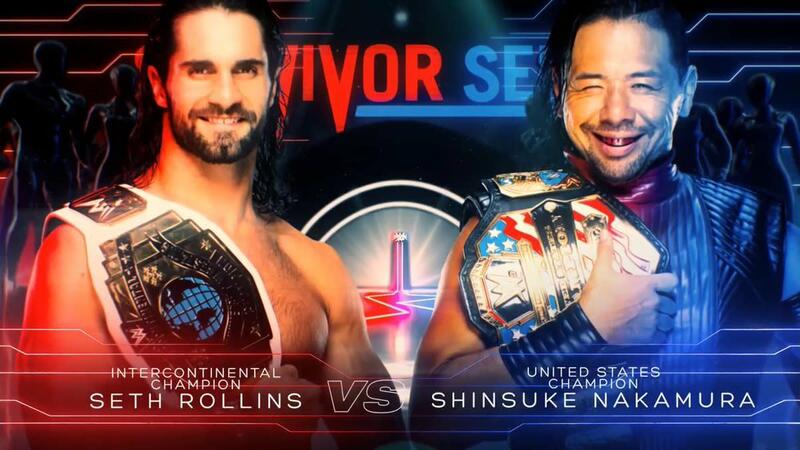 During Crown Jewel, it was announced that Universal Champion Brock Lesnar vs. WWE Champion AJ Styles and Intercontinental Champion Seth Rollins vs. United States Champion Shinsuke Nakamura will take place at Survivor Series. The PPV is being held at the Staples Center in Los Angeles, California on November 18. Lesnar won the Universal Championship by defeating Braun Strowman at Crown Jewel. There was an angle where Baron Corbin hit Strowman with the Universal title belt before the bell rang, then Strowman kicked out of three F5s before losing. Lesnar and Styles were also champions at Survivor Series 2017, with Lesnar defeating Styles in their match. Styles retained against Samoa Joe in Saudi Arabia, and Nakamura defeated Rusev in a US title match on the Crown Jewel pre-show. As was revealed this Monday, Raw Women's Champion Ronda Rousey vs. SmackDown Women's Champion Becky Lynch in a non-title match is also set for Survivor Series.